In January 1989, after having gained competition experience, I became a student of Egon von Neindorff’s. In September of the same year, I took part in the ‘Celebration of Classical Equitation’ display, at first in the ‘Quadriga’ in Long Reins, and in subsequent years in ridden dressage quadrilles, Young Horse displays, work in hand and the airs above the ground. Time has never played a part at the Riding Institute, neither where the training of the horse was concerned nor that of the rider. That said, it took years of hard work to be able to control my body to the degree required to be able to dance with the horse, albeit always under the watchful eye of a schoolmaster who never missed a thing! In essence, Classical Riding is characterized by its simplicity and lack of ostentatiousness. In this context, craftsmanship must be mastered before any form of art can evolve. Our objective is to help riders perfect their craftsmanship and in so doing, combine Classical Equitation with today’s competitive riding. That said, we do not put ourselves under any pressure to gain prizes or rosettes but we do strive to combine correct training with top performance. Go to the limit – but never beyond. Ask but do not ask too much. ‘Go to the limit – but never beyond!’ and ‘Ask but do not ask too much.’ (Egon von Neindorff). How often did I hear these phrases! Achieving top performance from horse and rider requires a relationship without coercion – it requires a team. Both have to enjoy their work. As a trainer, I strive to instil in my students (the team consisting of horse and rider) the enjoyment of their work coupled with the required discipline. We cater for both competition riders and recreational riders aspiring to improve themselves and their horses. 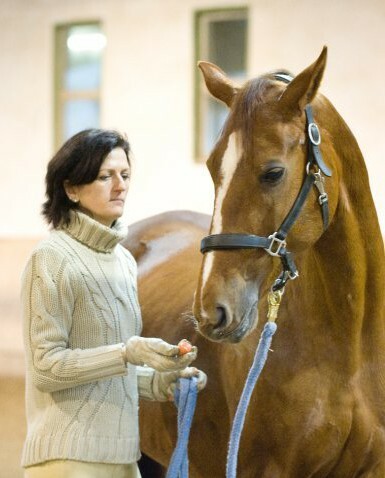 During a lesson, I like to believe that the students ‘feel’ I am sitting on the horse with them, and assisting them step by step – from loosening up to working towards learning new movements, at whatever thelevel. 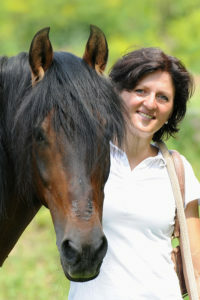 All of our horses are trained by myself and my partner Patric Puscha and are available for tuition. They are trained to a minimum of Elementary level before they are used for lessons, and some are schooled to do High School movements.